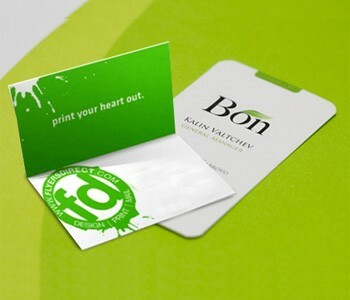 There is no better way to leave a lasting impression in a business meeting than with a first rate business card. A high quality, skilfully designed and carefully printed business card is your way to impress your new contacts and make sure they get back to you. We know that a business card is a trusted signature for any business, so it’s important to get it right: ePrint24/7 offers a range of cost effective business card solutions from traditional themes to tailor made original designs. Make sure your business card ‘means business’. We offer high quality full colour or black and white business cards printed on thick 400gsm premium card. Lamination on your business card will provide it with a protective coating to safeguard them from general wear and tear. A gloss laminate will provide your business card with a shine to enhance the colours whereas a matt lamination gives the card a smooth finish. Check our Artwork Guidelines before sending us your artwork.